The idea of going green can be daunting to some. Many companies think that being green is a costly investment, or they just aren’t sure how or why to do it. First, your company does not have to go green all at once. Be practical about it. Second, going green doesn’t have to be costly; in fact, you can save money while also saving the environment. Saving money: What company doesn’t like to save money? By turning off lights and computers, using a fan and a higher setting on the air conditioning, and printing less paper, you can cut down on energy, and paper and ink costs. Improved workplace (and world): By going green, you create a workplace that is a healthy environment for employees. Not only would your company be reducing unnecessary waste, it would also be leading the way for other companies to make the change. Happier employees: Give your employees a green place to think. It doesn’t have to be a big space—green grass, potted plants and a few benches is perfect. By having a green area on or near your property, your employees can take their lunch break or phone calls outside. Plus, it’s the perfect way to give back to the community. Telecommute: As we talked about a couple weeks ago, telecommuting has multiple benefits for your company. One benefit we didn’t touch on is that it helps your company go green. Your employees won’t be using as much gas driving to and from work, and fewer employees in the office offers a reduction in energy and water usage. Cut back on paper: Watch your use of paper—when possible, before a meeting email the documents and ask employees to bring in their laptops instead of printing out copies for everyone. When printing is necessary, try to print on both sides. Also, make sure to reuse paper as scrap paper before recycling. Don’t forget the bathroom: Install light sensors in the bathrooms so that energy isn’t wasted when the bathroom is empty. Eliminate paper towels. Buy in bulk, and buy green cleaning products. 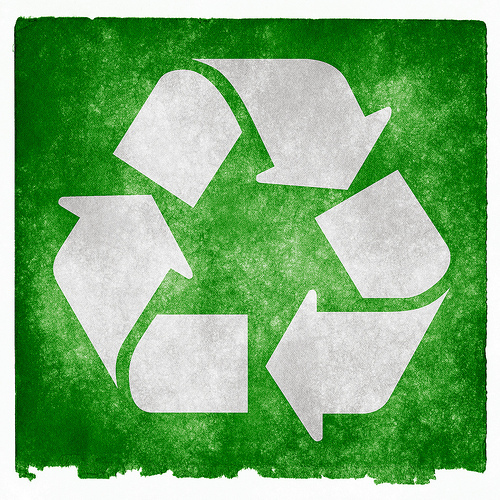 Has your company gone green? Or are you in the process of doing so? Drop us a line and let us know how it’s going. Might be worth mentioning on your page.